I love the contrast between dark and light and it really reflects the story and the core of Empower. It really represents the finale of the series and I adore it! 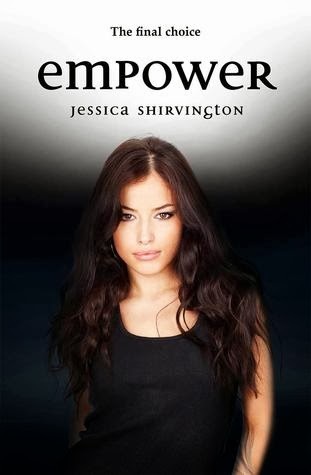 Well, the tag line above may sound cliché but that's how I felt throughout my journey of reading Empower and perhaps even the entire series. I have waited a year to read the finale of the series and I remember how last year after finishing Endless, I wasn't even sure if there will be another book in the Violet Eden Chapters. I couldn't be more pleased to find out that there's another book and although it is the finale, I felt ready to start the journey leading to the end of Violet's story. The ending of Endless left me heartbroken for Violet and Lincoln. Although Empower still contains that powerful action that we adored from the previous four books, I found Violet and Lincoln's relationship and love more prominent than other elements of the book. Perhaps it was because we were left hanging after the ending of Endless but the wait for Empower was absolutely worth it since there is plenty of romance which leaves reader breathless and anxious for more. This finale is all about decisions, choices and without spoiling anything, it's an epic finale that beautifully wraps up the whole series. This is perhaps the best part of Empower. Watching Violet grow as a character from Embrace to Empower is absolutely a great journey, beginning from her denying her powers and abilities to the point where she embraces and uses them to save her loved ones. Towards the end, I was satisfied by Violet's development as a character. I also really adored Lincoln's character. Although his development was not as big and prominent to that of Violet's, I never stopped rooting for him and his love for Violet. Together, they form the epic couple whose relationship melts my heart. There's also Phoenix, who constantly made my heart twinge. Before, I was concerned about how Jessica would end the sort-of love triangle between the three and how she did it was great. It pleased me to know that all three characters could finally obtain the happiness they truly deserve after all the journey they went through. Of course, there are other amazing characters in the story but I have to admit, Phoenix and Violet and Lincoln's story outshine them. Empower is a powerful and satisfying finale to the Violet Eden Chapters. After waiting a year, this book is absolutely worth the wait. It has everything you want in a finale; an epic battle, a conclusive romance and most of all, a beautiful end to the journey of the characters you love and feel attached to. I will miss this series so much but I'm looking forward to reading Jessica Shirvington's upcoming works! 5 Forget-Me-Not flowers for Empower! Thank you Hachette Australia for the review copy! PS: Hi everyone! I'm finally back to blogging after 6 months of hiatus. It's going to take some time to get into the reading and blogging mode but expect more reviews to come soon! My ARC copy is a bound copy of Shadow and Bone and Siege and Storm so it does not have Siege and Storm's cover but I love this cover more than the US cover of the first book! Just look at that dragon forming the title and wrapping itself around that building. Love it! If you remember reading my review of Shadow and Bone last year (or known as The Gathering Dark in the UK/AUS), I loved it and adored it to pieces. Reading the book was like stepping into a fairytale of a battle between the dark and light and a new epic fantasy world that I wish I could live in. Now the sequel, is an entire different matter. It still has that beauty Shadow and Bone has, but the sequel is not about introducing the world Leigh Bardugo has created. It's exploring this world, revealing more secrets and darkness that cloaks Ravka, Alina, Mal and even the beloved Darkling. 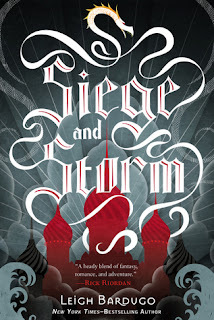 Siege and Storm continues directly from the ending of Shadow and Bone. Mal and Alina are on the run from Darkling but of course, Darkling finds them. But this time, Darkling has evolved. His powers are terrifyingly strong, befalling darkness in Ravka. What I loved most about this book is how Bardugo slowly unravels the mysteries behind her characters and her world. It is so fascinating and unique. Her descriptions of when Alina and Darkling use their powers are so detailed and beautiful. Now I'm sure you are curious about the romance as well and I feel like I'm a betrayer because I was Team Darkling in the first book but now, I am torn between Mal and Darkling! There are new characters introduced in this book and while they are really enjoyable to read about, all I want to discuss about is Mal, Alina and Darkling! Can you blame me? The thing is these 3 characters are so intertwined and complex sometimes. Well before I start, I should probably briefly introduce a new character called Sturmhond. He is loveable, charming and also often underestimated although he is a genius! I don't even know where to begin actually. Mal and Alina's relationship certainly dominates this book although we do have glimpses of scenes between Alina and Darkling alone. It pains me to think that Alina and Darkling will never have the kind of relationship Mal and Alina has because Darkling is just too...dark now. Mal, on the other hand, proved to be a loyal, fierce companion who truly loves Alina. Their relationship gets rocky at times but Alina, Mal and Darkling are certainly not in some sort of typical love triangle. Each have their own stories that make up the entire book and that is what makes scenes between Alina and Mal, Alina and Darkling so beautiful. 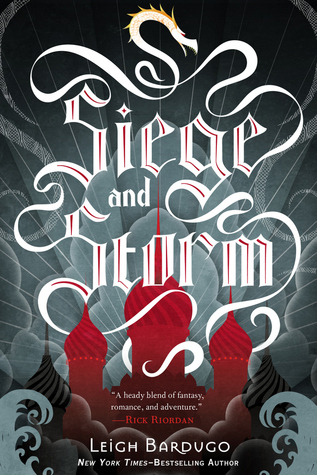 Siege and Storm is the magnificent sequel to Shadow and Bone, with its riveting story and the beloved characters Alina, Mal and Darkling. The enchanting world Bardugo has created is further explored in the sequel and although I love Shadow and Bone slightly more than its sequel, fans of the first book will definitely love Siege and Storm! 5 Forget-Me-Not flowers for Siege and Storm! So cute! I love how the title of the book is written like the clouds, the blue sky and the two pairs of shoes in the bottom of the cover. It's simplistic but adorable! 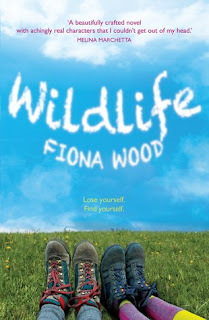 While I haven't read Fiona Wood's Six Impossible Things, I adored Wildlife, the companion to Six Impossible Things. In Wildlife, we meet Sibylla, a girl who before going to the outdoor education program, managed to do two 'incredible' things; getting her face plastered on a huge billboard and kissing the most popular guy in her school! Wildlife ventures around the themes of friendship, love and grief. Fiona Wood's writing is witty, beautiful and tackles the life of teenagers excellently. The setting is perfect to explore the characters and I love how Fiona Wood can capture the emotions of her characters so well. The book is written from dual POVs of Sybilla and Lou. Since I haven't read Six Impossible Things, I had no idea who Lou is or what she is like in the book but in this book, Lou becomes friends with Sybilla and their friendship is sweet and beautiful. Also, I can't help but smile when I noticed that Fiona Wood made a reference to Melina Marchetta's Looking for Alibrandi! I think this is the strongest element of the book, the way Fiona Wood explores the characters, revealing the layers of their emotions and feelings one by one. In the beginning of the book, we know that Lou is grieving. As a way to handle her griefs, she writes journal entries and reading her journal entries broke my heart. They are honest, filled with grief but also show a process of Lou healing her heart. In some of her journal entries, she also talks about her friends (and if I'm not mistaken, they are the main characters in Six Impossible Things) I really liked Lou's character and how she blends in with Sibylla and her friends later on. Sibylla is also an enjoyable character to read about, from the awkward moments she had with the boy she likes, her witty-bantering with Michael, her friend, and her cute conversations with Lou. Sibylla's friend, Holly, isn't a particularly likeable character to me but I do like her friendship with Sibylla. Michael, on the other hand, is such a cute nerdy boy! I love his new-found friendship with Lou and his long friendship with Sibylla. Ben is an alright character, he can be annoying at times but his moments with Lou are quite adorable. Do you ever think of the wildlife as a place to heal your wounds, to find out who you are and to form relationships and friendships with people? Wildlife is a great novel which ventures around these themes with realistic characters who you can't help but adore and love. If you love contemporary books with beautiful and realistic story of friendship and love, then you definitely don't want to miss out reading Wildlife! 4 Forget-Me-Not flowers for Wildlife! Thank you Pan Macmillan Australia for the review copy!